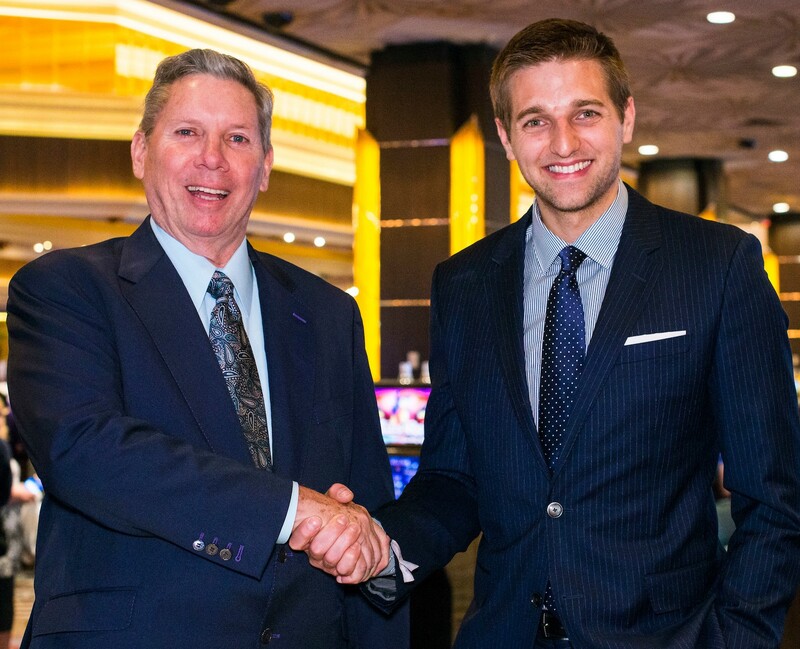 Los Angeles, CA (May 22, 2017) – World Poker Tour® today announced that Mike Sexton, co-commentator of the WPT® for the past 15 seasons alongside Vince Van Patten, will retire from his role in the booth. Tony Dunst, fellow WPT Champions Club member and host of the WPT Raw Deal for the last seven years, will fill Mike’s seat starting with WPT Choctaw, the first televised event of Season XVI. Sexton says farewell to the WPT after a historic Season XV that saw him earn his way into the prestigious WPT Champions Club. The Poker Hall of Fame inductee will now forever be eligible to compete in the WPT Tournament of Champions, an event he helped create. Dunst joined the World Poker Tour as host of the WPT Raw Deal during Season IX after winning the role through an open casting competition that included some of poker’s most recognizable faces. During his time as host, Dunst appeared in 140 WPT Raw Deal segments. In addition to joining the WPT Champions Club in 2013 during Season XII of the World Poker Tour, Dunst has appeared at five WPT final tables, traveled the globe playing in the world’s most competitive poker tournaments, and written extensively about the game. Since Dunst began with the World Poker Tour, the WPT has expanded from 14 to more than 60 locations around the world, and his relatable approach has helped usher in a wider audience. Sexton will take an executive role at partypoker, where he has had a longstanding relationship. Dunst’s new role as a full-time WPT co-commentator will officially begin during the televised Season XVI WPT Choctaw in August 2017. The World Poker Tour has not yet finalized a replacement for Dunst as host of the WPT Raw Deal segment. In August 2016, the WPT signed a historic five-year extension with FOX Sports to broadcast the WPT through Season XIX on FOX Sports Regional Networks. In addition to five seasons of the World Poker Tour, WPT will produce and air 8 additional hours of original programming each season, and FOX Sports Regional Networks will also air at least two World Poker Tour marathons each season.